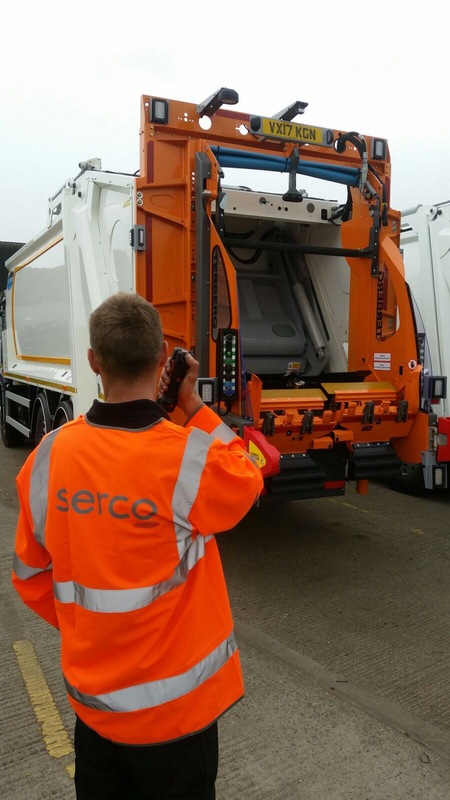 One of the world’s leading public service providers, Serco, is equipping three of its vehicles with Reaclear, a revolutionary reversing aid designed to eliminate reversing accidents, with a view to installing the equipment to more of its vehicles operating in London. The new device has been developed by vehicle safety technology company, Innovative Safety Systems Ltd (ISS), who are responsible for Cyclear®, a cyclist safety warning device for HGVs. Reaclear is a preventative device, designed to work with the driver and reversing assistant who carries a hand-held device with an integrated two-way Push To Talk (PTT) communications feature. Once it is safe to manoeuvre the reversing assistant presses the transmit button and this lets the driver know it is safe to reverse. In the event the vehicle is reversed without first receiving the signal, an alarm sounds in the cab along with flashing lights. A message is also sent to the transport office to determine if further action is required. Reaclear is the second product in the ISS ‘Clear’ family, following in the footsteps of Cyclear®, which is now part of the standard refuse vehicle specification for many waste operators, including Serco, and local authorities across the UK.